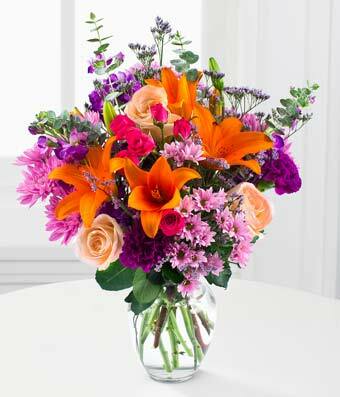 Orange Crush is the name, sending beautiful bouquets is the game! Wow a lucky person in your life with this vibrant bouquet of roses, lilies, carnations and more.Picked fresh from a farm, this flower bouquet creates an impressive gift your special recipient will absolutely love. Delivered in a gift box and presented with a classic clear glass vase.